Your distinguished taste is the reason this chair will end up in your home. The design of this chair includes a classic one over one cushion design. 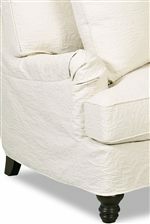 The T-Cushions feature welt cord trim which establishes a very classic look. Charles of London arms; small, slightly recessed arms, are inspired by traditional designs that further the astute look of the chair. 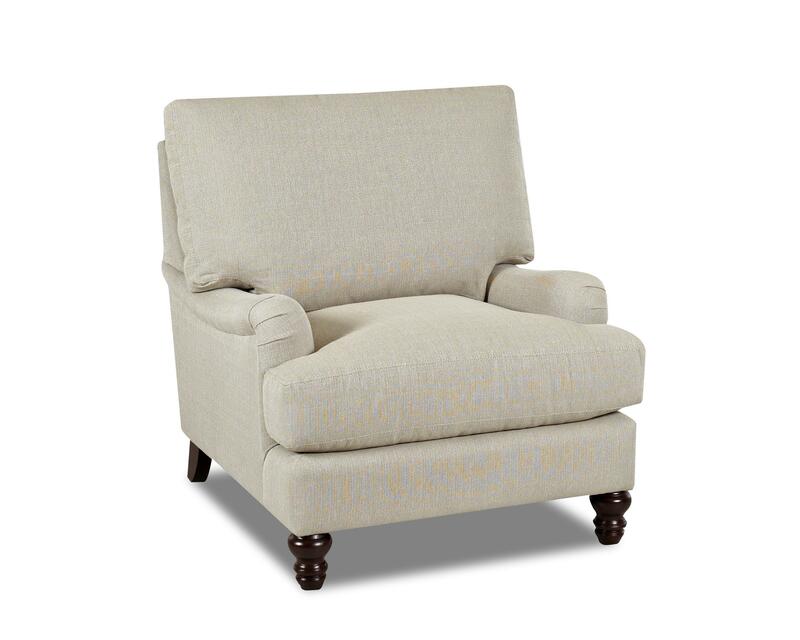 Turned legs support the chair and complete the timeless look this chair accentuates. The regal style of this chair goes beyond the surface level. Down blend cushions and an accent pillow create a very comfortable sit, ensuring the comfort matches the quality. The Loewy Traditional Stationary Chair with T-Cushions and Charles of London Arms by Klaussner at Value City Furniture in the New Jersey, NJ, Staten Island, Hoboken area. Product availability may vary. Contact us for the most current availability on this product. Pillow Two Oversized Accent Pillows with Welt Trim are Included. The Loewy collection is designed with your taste and lifestyle in mind. The collection boasts a very classic, yet stylish look that is ideal for anyone with an active lifestyle and appreciation for quality design. Welted, down blend, T-cushions make a very traditional style sleek and comfortable. The Charles of London arms rest snugly between the T-cushions. 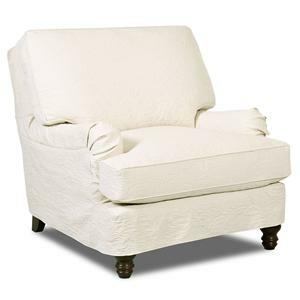 This unique arm style is another timeless design feature that adds great character to any room. This collection features different fabric options to fit your tastes. Slip cover options that can change the look of your furniture give you the ability to transition between two very different looks. Collage effect fabrics give you the opportunity to create contrasting or complementing looks by selecting different fabrics to distinguish the cushions from the arms and borders. Not to be forgotten, standard upholstered pieces are also available to provide the right balance for your home. Accent pillows are also featured providing even more options to create the perfect look for your home. The Loewy collection is a great option if you are looking for Traditional furniture in the New Jersey, NJ, Staten Island, Hoboken area. 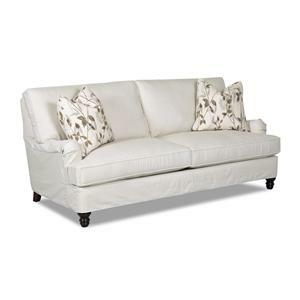 Browse other items in the Loewy collection from Value City Furniture in the New Jersey, NJ, Staten Island, Hoboken area.